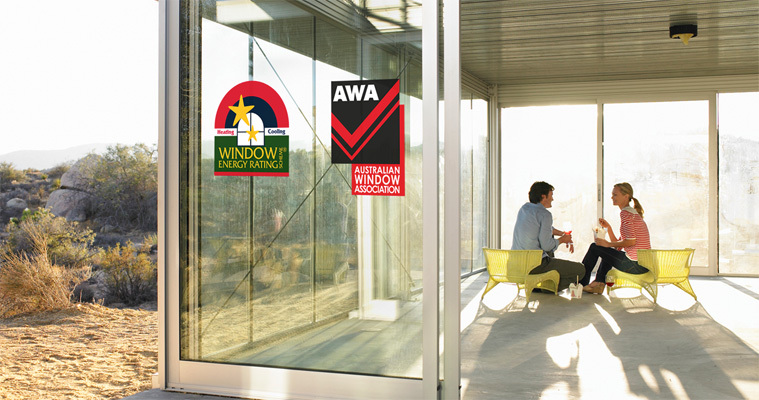 The Window Energy Rating Scheme (WERS) is managed by the Australian Window Association. It provides a system for rating and comparing the energy performance of windows and doors against one another, in a similar fashion to the rating system commonly used for white goods. To continue reading about how WERS ratings realate to our windows and doors, click below. Star ratings rank the window against alternative products using a ten star scale, based on 17 ‘generic’ window types. The generic windows range from very low performance to very high performance for heating and cooling and apply to the whole window – glass and frame combined. A low star rating indicates a window is a relatively poor performer, while at the other end of the scale, ten stars indicates the perfect theoretical window. In reality, the highest performing windows available in Australia fall generally between 6 and 7 stars for heating and between and for cooling. What is a WERS Certificate? Download Allglass Wagga’s Residential WERS ratings and Commerical WERS ratings here.